Excellent location in the community, this spacious and comfortable home is all on one floor, with a split floorplan, and an extra large two car garage. A solid Lennar built home, their Bimini model has a large master bedroom and luxurious bathroom. You have a spacious kitchen and family room combo that has a sliding door to the large screened in and covered patio in the back of the house. You have a private not overlooked back yard with mature trees. The home has new paint, new water heater, wood kitchen cabinets an stainless steel appliance. All you have to do it move in ! You are minutes to great schools, restaurants and shopping, Disney is 15 minutes away. 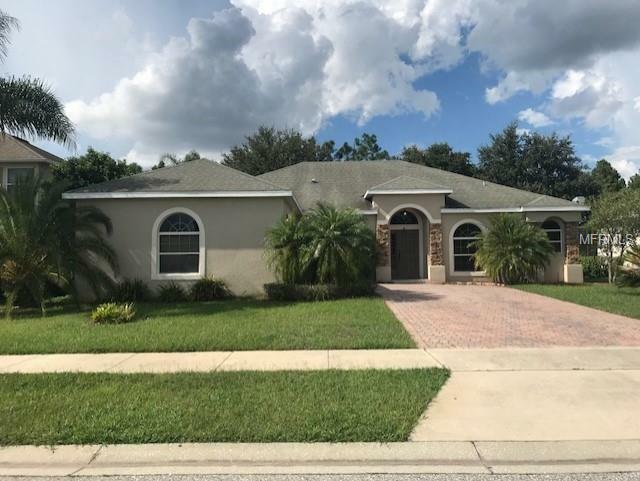 Listing provided courtesy of Florida Properties Inc.